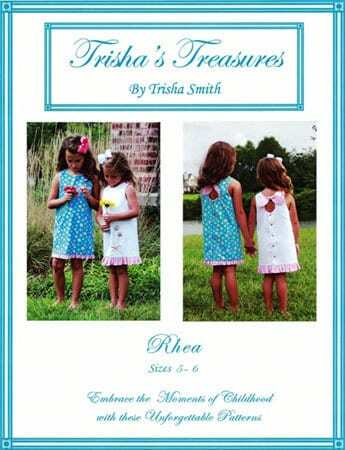 Rhea Pattern / Sundress pattern / Peek-A-Boo-Blooms / A-line dress / Key hole back/ Trisha's Treasures. The Rhea pattern is a slightly a-line shift style dress that buttons in back with great back detail consisting of a cut-out and tie. The front can be embellished with a Yo-Yo floral bouquet if desired or left plain when using a busy print fabric. 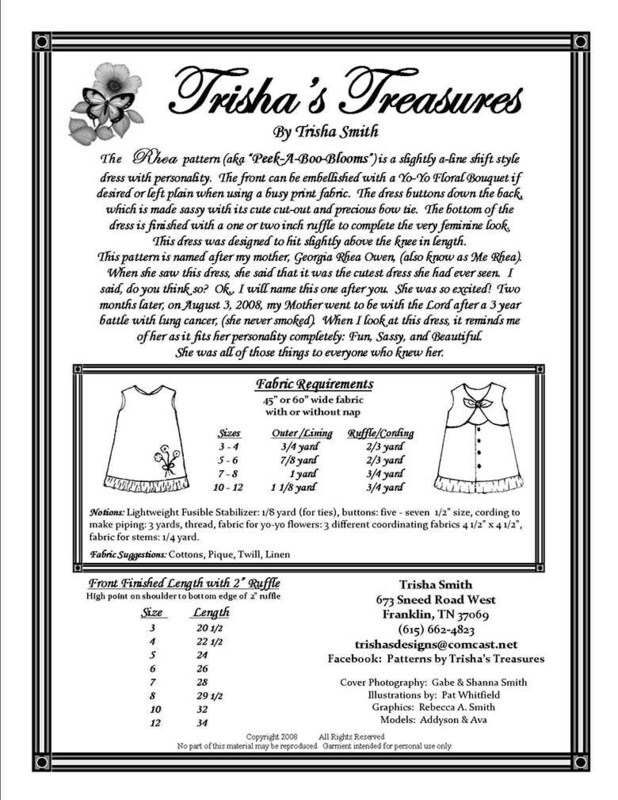 Trisha's Treasures are designed by Trisha Smith. Sizes 3-5 and 6-8 in separate packages.